University has first uptick in years despite overall loss of undergraduate students. Biola enrolled its highest number of traditional undergraduates in three years with 1,223 students, creating optimism for the future university budget and Biola’s impact on the world. This number is 38 higher than last year’s incoming traditional undergraduate count of 1,185 students, and 23 higher than the 2015 enrollment count of 1,200. However, due in large part to the large number of graduating students last year, the total number of traditional undergraduates declined by 87 students to 3,994 while the applicant pool shrank by about 500 students. Vaughan believes this year’s rise in enrollment may be due in part to university adjustment to changes in FAFSA last year. Prospective students submitted applications starting Oct. 1 instead of Jan. 1, prompting financial aid to send out awards in November rather than February. By the end of January, financial aid had offered approximately 1,400 awards, when in previous years it would have presented none by that point. However, decreases in total traditional undergraduate enrollment negatively impacts the university budget and organizations such as the Student Government Association. Nonetheless, the increased enrollment this year has improved the budget. 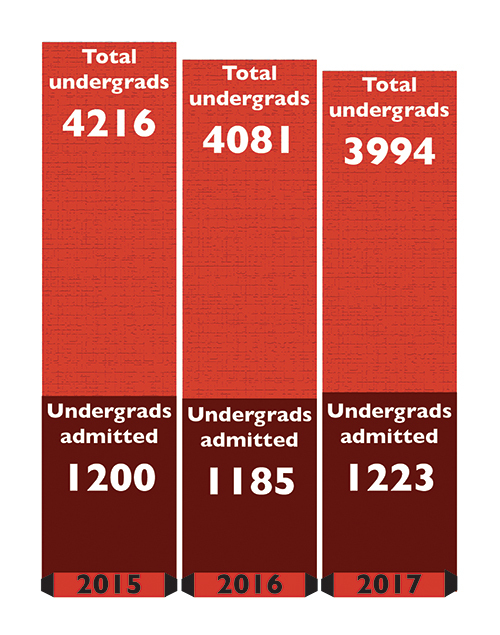 Though administration did not quite reach its enrollment goal of 1,230 students, several undergraduate programs met or neared their student capacities. For example, the Torrey Honors Institute continues to meet its admission goals, attracting about 420 applicants, according to admissions and Torrey recruitment coordinator Chad Glazener. Global Student Programs & Development director Stephanie Calley also noted an increase in global student enrollment. GPSD received about 90 new global students, which Calley reports as being one of the highest records in the past five years. She cross-trains with other departments to help global students feel more at home and remain enrolled. 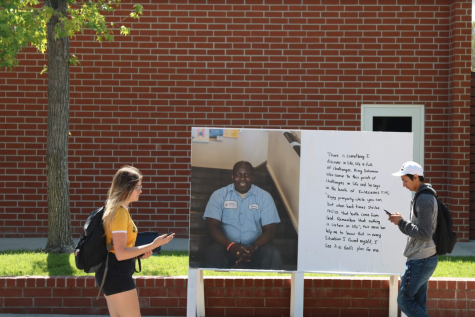 The entire university is working in tandem to promote retention, which allows Biola to empower students to pursue their goals, according to assistant director of undergraduate retention and success Daniel Parham. “In one sense… recruitment and enrollment and retention are facets of the university to ensure that we continue to prepare the world’s next leaders,” Parham said.